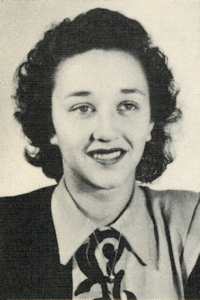 Obituary – Lemler, Mildred Elizabeth (Jordan) « Perry High School Alumni Association, Inc.
﻿Triple Trio ’44-’45; Secretary of Student Council ’46-’47; Teen Town Council ’45-’46; Secretary of Senior Class ’46-’47; Glee Club ’44-’46; Band ’44-’47. Mildred Elizabeth Lemler went to be with her Lord and Saviour on Tuesday, February 4, 2014 at the age of 84 years, three months and twenty four days. Mildred was born October 11, 1929, in Pocasset, Oklahoma. She was the daughter of Frank Christmas and Thelma Martha (Bozarth) Jordan. As a young girl Mildred grew up and attended public school in Perry, Oklahoma. Following graduation from Perry High School, Mildred was united in marriage to Richard Randall on May 14, 1949 in Perry, Oklahoma. To that union there are three children Terri, Stephen and Bruce. Later on July 11, 1963, in Spencer, Oklahoma, Mildred was united in marriage to John Orlan Lemler. The couple soon moved to Muskogee, Oklahoma during that time Mildred returned to school at Bacone College later graduating with an associate’s degree. Mildred then attended Northeastern State College in Tahlequah and graduated with a Bachelors degree of Science in Education with a Minor in Music and Social Studies. Mildred has served the Hominy Association of Classroom Teachers as secretary for three years, President for two years, and treasure for two years. 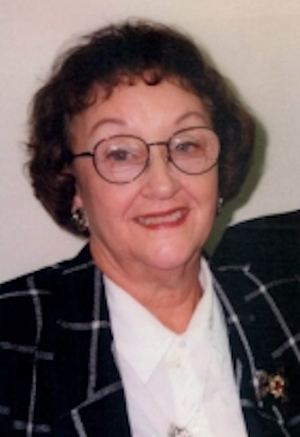 In 1990, Mildred was voted as Teacher of the year by her peers. Mildred and Orlan remained in Hominy until 2004, when they moved to Cleveland, Oklahoma. The couple resided in Cleveland until October of 2012 when they moved to Tulsa. Mildred was an avid University of Oklahoma fan. Mildred and Orlan enjoyed square dancing as well as going fishing, boating and camping. Soon after retirement the two began traveling. They also began their lifelong dream of spreading the word of Jesus Christ throughout the United States. Mildred and Orlan traveled from KOA Camp to KOA Camp talking and visiting with people about the Lord. They would talk to everyone that would listen and even those who wouldn’t. Their goal was to travel to all 50 states. They made it to 32 states before they had to retire due to their health. She was currently a member of the First Christian Church in Cleveland. Survivors are her daughter Terri Brown and her husband Don of Cleveland, Oklahoma, Stephen Randall and his wife Lori of Tulsa, Oklahoma, Bruce Randall and his wife Robbin of Destin, Florida; ten grandchildren; Lori Brown and her friend Ron Brown, Darrah Fraizer and her husband Luke, Stephanie Brewer and her husband Jeremy, Heather Hatfield and her husband David, Kylie and Jacob Randall, Chad Randall, Trevor Randall and his wife Amber; eight great grandchildren; Baylee, Loghan, Tinsley, Sierra, Lorelia, Sophie, Presley, Chase; niece Ramona Luster and her husband Bill of Stillwater, Oklahoma, and other relatives and friends will mourn in her passing. She was preceded in death by father Frank Christmas Jordan, mother Thelma Martha Jordan, husband Orlan Lemler, sisters Margie VanBrunt, Nadina Karcher, grandson Jason Brown.